– The 3D display of some elements such as menus and subtitles may be different on the PS3 system than on other 3D playback devices (appear in 2D instead of 3D). – Depending on the content, some BD-J (Blu-ray Disc Java) features such as BONUSVIEW and BD-Live may not play in 3D or may not function properly on the PS3 system. – When Dolby TrueHD is selected as the audio format, audio will be output in Dolby Digital during playback of Blu-ray 3D content. – When DTS-HD is selected as the audio format, audio will be output in DTS during playback of Blu-ray 3D content. On a side note, as I get a lot of questions if any of the 3D DLP projectors can be used together with a PS3 console to output games or movies in stereo 3D, the answer to this question is NO. 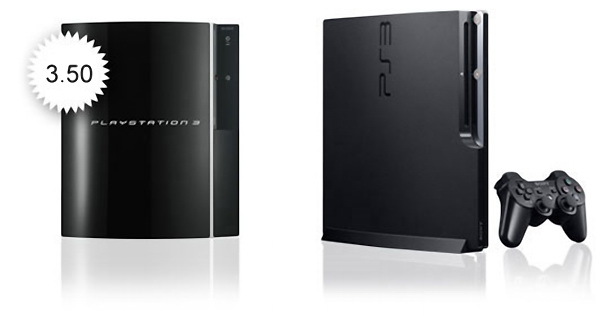 The reason for that is due to the fact that the PS3’s S3D support relies on the stereoscopic 3D specifications defined in the HDMI 1.4 standard, so the output from the console is based on the frame packing format at 60Hz defined in that standard and on the other hand the format used by 3D DLP projectors is frame sequential at 120Hz. So unless somebody releases an adapter box that converts from one to the other format or builds a 3D DLP projector with such capabilities you will not be able to use your PlayStation 3 for stereoscopic 3D output. This means that you will be either sticking to Sony’s 3D Bravia HDTVs or actually any other brand that has 3D-capable HDTVs using HDMI 1.4(a) as input format for 3D video content input. An alternative would be a 3D DLP HDTV from Mitsubishi and/or maybe Samsung along with a special adapters that are already available that will convert the frame packed content coming from the PS3 to the DLP checkerboard format used by these TVs. So PS3 in stereo 3D and a 3D projectors are still a no go! I have the Mits and adapter… 3d games are nice… But someone started a rumor on avsforums that it did output checkerboard. I got excited… almost bought another ps3… But nah not yet. It would be so great if the manufactures (like Acer with the H5360) would provide a firmware update to support frame packing. Otoh, I wouldn’t even know how to connect my Vision3D-set with the PS3, so I suppose an extra box with either USB or a jack to connect the nVidia IR-emitter would be the only viable option for use H5360 users (that box would in turn need to support the frame-packing conversion too). Does any one know of some simple HDMI-evo-board with a good SDK? Maybe there is a way to DIY with some tinkering and reading of HDMI-specs. I wonder if the much cheaper Intensity PRO PCI card could be used with some manual coding/wrapping. Not clear if they support HDMI 1.4a or if it will be enabled with a future firmware/driver…. AverMedia also has a HDMI-capable capture card, but it is 1080i/720p only. Full HD frame packed 3D requires a higher bandwidth than what hdmi 1.3 provides. PS3 gets around it by only outputting frame packed 1080p at 24p rather than 60p, and they reduce audio quality to conserve bandwidth.